Someone once said that the problem with a published book of the kind with your name on it, is you can’t take it back. If you’ve written it as “ Anon” or even a pseudonym you can always shrug and feign your innocence. It wasn’t you. Nope. As if. As if you’d ever write such a §!”#€%&/()=?_∞£¶[ awful collection of questionable prose. So when I received an offer to have it published by a new publisher who would make this her first book, I toyed for some time with the idea of a pseudonym. If only so I could shrug, smirk and feign my innocence. Yet far more than anything at all else, I wanted to flip the metaphorical bird at all the skeptics, non-believers, doubters, haters and every single sucker who ever tried to grind me down. I did want to write my own humble ‘Kilroy was here’ on the hallowed walls of literature, I wanted to leave an epitaph behind that said I did this, I wrote that, I cooked it all up out of music, boredom, desperation and the darkness I spent all my life trying to deny I even had. 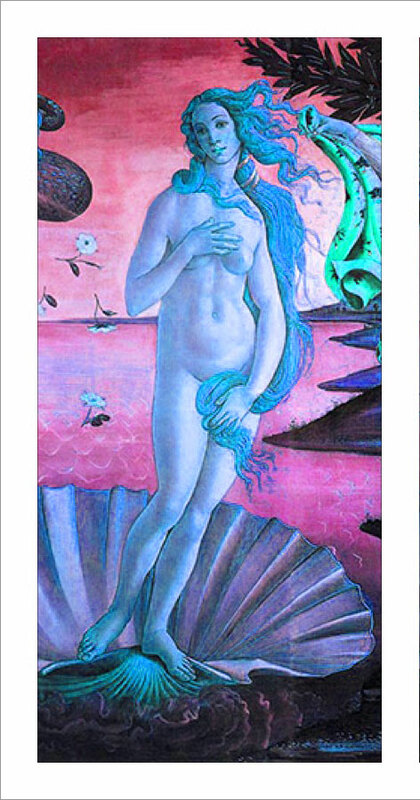 Only to find I might as well have been as naked as Botticelli’s Venus (if looking nowhere so good) once the book was out on Amazon. It’s all true. I can’t take it back or deny I had anything to do with it. For every doubt I’ve had along the long journey from out-there idea to hardcover and Kindle edition, for every time I’ve clutched my feline teddy bear and burrowed under the covers wishing the whole nightmare enchilada would just go away and disappear, down below in the Sea of Egomania, I was damn proud of that book, damn proud I did it, and inordinately proud all those so-called doubters and non-creative types who sneered condescendingly and flatly stated ‘they had never had that (cough)…urge’, all those who said ‘Forget about being published. That will never happen.’ – they could all just kiss my Taboo-painted toes, because by Golly, I did it! And by Golly, I feel so very naked, because… I can’t take it back. All in all, it’s been – a most transgressional affair. This entry was posted in Confessions and tagged egomania, first novels, publication, Quantum Demonology. Bookmark the permalink.